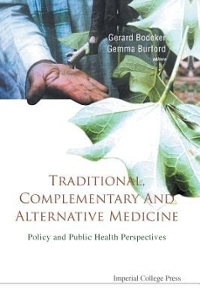 districtchronicles students can sell Traditional, Complementary and Alternative Medicine: Policy and Public Health Perspectives (ISBN# 1911299697) written by Fredi Kronenberg, Gerard Bodeker, Gemma Burford and receive a check, along with a free pre-paid shipping label. Once you have sent in Traditional, Complementary and Alternative Medicine: Policy and Public Health Perspectives (ISBN# 1911299697), your Independent , DC Area textbook will be processed and your check will be sent out to you within a matter days. You can also sell other districtchronicles textbooks, published by Imperial College Press and written by Fredi Kronenberg, Gerard Bodeker, Gemma Burford and receive checks.